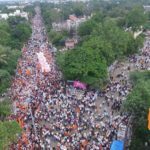 This article about the Maratha Kranti Morcha was published in 2016. It remains as valid today, as Maratha Morcha Mumbai shows power on the streets. 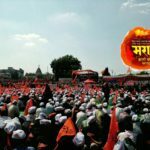 The gigantic Maratha rallies in Maharashtra have flummoxed everyone. Neither the politicians nor the media know what to make of them. 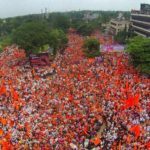 Unprecedented crowds thronged the Pune Maratha Kranti Morcha on 25th September 2016. 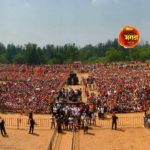 Even if the claims of 25 lacs are exaggerated, it is undoubtedly the largest gathering Pune has seen. 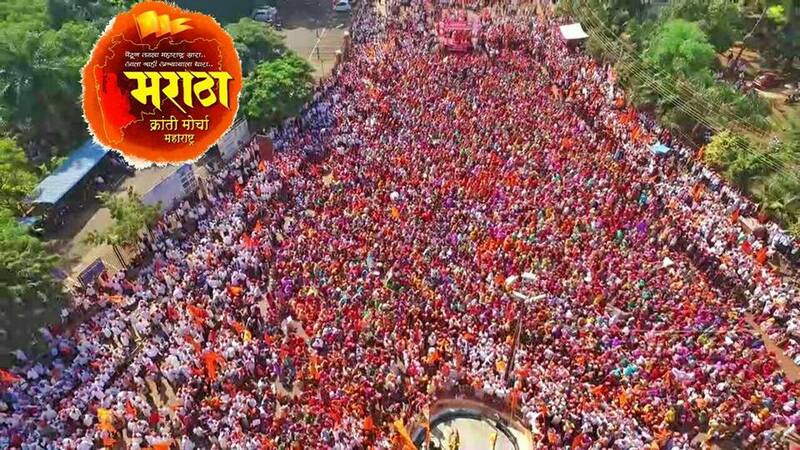 In each city the Maratha Kranti Morcha is breaking records with their numbers. But that’s not the only thing unique about the Maratha Morcha. The most amazing thing is that it is a silent, peaceful protest, no speeches, no slogans. No wait, the most amazing thing is that it is led by 5 unknown girls who present the charter of demands at the end. In a country that believes one always needs a popular face to ensure success in any field – politics, or andolans, or Bollywood, or sports, the most amazing thing really is that no one knows who the leaders are. Another really amazing aspect is that any political leader or public figure who tries to hijack the Morcha is respectfully shown the figurative door. Basically it is a movement that on every count has left the people amazed. Marathas are approximately 35% of the state population and are considered to be the ruling class. Almost every state assembly has had 60% to 70% dominance of Marathas since decades. They are also the land owning class. The Marathas dominate the state’s economy as they control the cooperative sector which runs everything from banks, to credit societies, to agriculture markets, to cotton and sugar mills. This power is concentrated in the hands of the few – some even claim that all cooperatives in the state are owned by less than 200 Maratha families. Shrewd Maratha Congressmen of yore replaced the old zamindaari system with a modern one – the Maratha strongman in every area joined politics and became an Aamdaar (MLA) or Khaasdaar (MP). They used every trick in the book, nay, they wrote the book, on how to scam and acquire control of government and public lands. These guys also became contractors, directly or through family members, and they won all government contracts making truckloads of money through corrupt practices. These same politicos floated and controlled cooperatives in every possible area that touched the lives of people – banks, mills, markets. 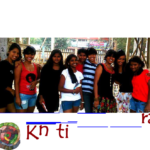 They entered every business that people depend upon – education to transport to power generation. Today these few political families have a stranglehold on the state, and most of them are Marathas. So why then the protest? Because this power class has no connect with the Maratha masses. 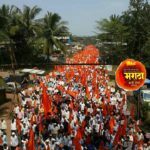 The majority of the 35% of Marathas are tillers of small parcels of lands, they are the poor of Maharashtra whose livelihood is held to ransom by everything – from the weather to the rich ruling class. The Maratha Kranti Morchas are not just demanding reservations – they are demanding the right to survive. Most of the Marathas are ordinary farmers. They are disconnected from the ruling class who has scammed every single resource of the state. Almost all farmer suicides were Marathas. Most farmers in the state had joined the Shetkari Sanghatana as there was a palpable need for organized protest. With the decline of the Shetkari Sanghatana’s various factions, these farmers who were left without any direction have now come together under the Maratha banner, and their issues remain agrarian. The BJP government has failed to make a single constructive step against the anti-farmer policies of the former UPA government – no security of MSP, crop insurance is a farce, and there is no move towards implementing Swaminathan Commission recommendations. Essentially the Maratha protest is a farmer’s protest since their needs have been neglected by every single political party in the State today. Today farming is not a viable career – its only 11% of the GDP even though 60% of the population works on it. Hence the farmers want alternate careers for their children but the stumbling block here is education. In a bid to promote privatized education for its cronies, Maharashtra politicians have completely neglected public education. 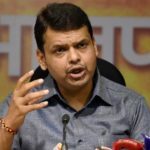 The Marathas feel in the race for seats in the few government institutions they are at the losing end due to reservation – and hence the demand for reservation. The solution to this issue is not just reservation – it is vast investment in education infrastructure and making education accessible to the last man. 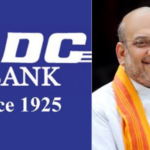 However, the BJP government, just like its predecessor the UPA, does not have education on its agenda – from ‘anganwaadis’ to Universities there is unprecedented corruptionand there is not even an attempt being made to enhance the number of schools and colleges. There is a breakdown of law and order in the state today and Kopardi is a flashpoint. I visited the victim’s family immediately after the incident and met the villagers. Both Maratha and Dalit members agreed that culprits should be dealt with severely and swiftly and no one felt that caste had any role to play in this most heinous crime witnessed in Maharashtra in recent times. What this incident really showed was the total absence of fear of law in Maharashtra today – the police is viewed as incompetent and corrupt and the government is seen as being unconcerned with justice. Scheduled Castes and Tribes (Prevention of Atrocities) Act, 1989, commonly known as the Atrocity Act is indeed being misused to frame people – but so are a number of other acts. The misuse of a law does not reflect on the validity of the law, it reflects on the Government that is closing its eyes to the misuse. 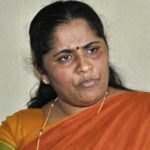 Just a few weeks back a journalist in Osmanabad was falsely framed under the atrocity act and despite appeals to the Chief Minister who looks at the Home portfolio, there was no response. If the Home Department fails to act against the corruption or inefficiency or excesses of the police, we have to admit law and order in the state has collapsed. There are almost weekly acts of serious atrocities against Dalits in Maharashtra, and there is a need to protect them so there is no question of doing away with this act. What needs to be addressed is vacuum in the Home Department where the common man cannot appeal against the false and fabricated cases or the wrongdoings and failures of the State Police. 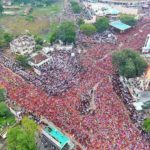 So the Maratha Kranti Morcha, in my view is amazing because it is a fight for survival in a failed state that has ignored the farmers, the students and the victims of growing crimes. There is a dis-enchantment with all political parties today – the incompetent Congress has been replaced by the incompetent BJP and corrupt NCP has been replaced by the corrupt ShivSena and the rest of the traditional parties like RPI and MNS are merely small time opportunists. Since the Maratha Morcha has steered clear of all political parties and focused on issue based demands it has received this unprecedented support. At the end of the day however, in this deeply caste based society it is a Maratha protest and it is knocking on the doors of Devendra Fadanvis, a Brahmin Chief Minister in a state whose politics have been dominated by Marathas, Dhangars, Malis and Vanjaras. This post was originally published here.